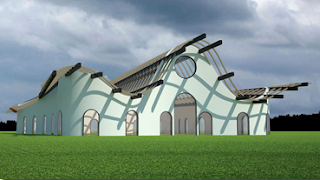 How to create and edit architectural parametric objects. How to run operations with free-form walls, beams, and other architectural elements based on NURBS. How to get the documents of an architectural project (sections, elevations, plans, schedule tables, surfaces, etc) from the 3D model. How to assign attributes and materials to each object component for future 2D representation and render creation. There's no fee to attend the presentation, but space is limited. To register, please send an email to fionuala@simplyrhino.co.uk.